Prince Harry has taken over from his grandfather the Duke of Edinburgh as Captain General of the Royal Marines, after the appointment was approved by the Queen. 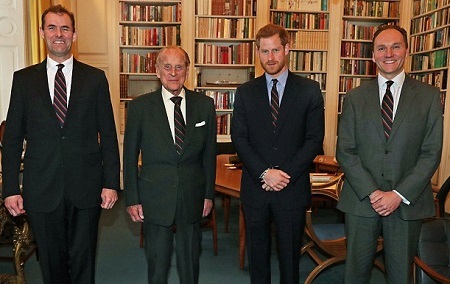 Harry accompanied Prince Philip in his final duty as Captain General today, as they hosted the incoming and outgoing Commandants General at Buckingham Palace. The Duke's association with the Royal Marines dates back 64 years to 1953, when he was appointed Captain General in succession to the Queen's father, King George VI.